Seize the day in Berlin with this half-day waling tour, hitting all the must-see sights in this marvelous metropolis. 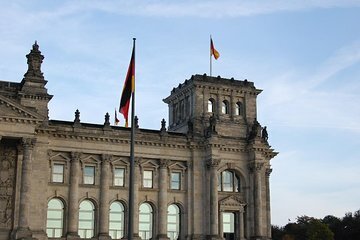 Learn about the history of the city form the knowledgeable local guide, as you visit the Reichstag, Brandenburg Gate, the Tiergarten, Hitler's Bunker, Checkpoint Charlie and the Berlin Wall, among other sites. Get an insider's look at the city on this tour, which provides an excellent orientation for exploring on your own. We took our tour with Manfred, who knew so much about the city itself. Gave us great insight into every sight we saw, on top of great local places for food. Highly recommended to those who are looking for an overall informational tour of Berlin.